Leopold's Ice Cream / Scrapbook / From our team / WINNERS Announced in the 8th Annual Leopold’s Ice Cream Creative Writing Challenge! WINNERS Announced in the 8th Annual Leopold’s Ice Cream Creative Writing Challenge! WINNERS ANNOUNCED IN THE EIGHTH ANNUAL LEOPOLD’S ICE CREAM CREATIVE WRITING CHALLENGE! The results are in! 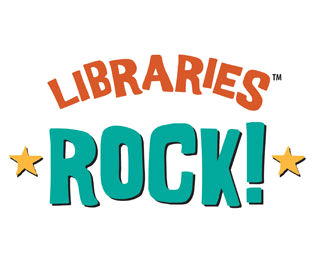 Leopold’s Ice Cream and Live Oak Public Libraries recently asked students in Chatham, Liberty and Effingham counties to submit poems on the theme, Libraries Rock, and the results were amazing. Over 250 poems were received and after much careful consideration, 12 winners have been chosen. Stratton Leopold, of Leopold’s Ice Cream, said of the challenge, “Every year I anxiously await the arrival of the poetry from our local school children. This year they did not disappoint. Their work was very impressive!” Each of the first-place winners will receive an ice cream party for their class, 2nd and 3rd place finalists will each receive a special gift certificate for Leopold’s Ice Cream. Click here to read the winning poems. All winners and finalists have been invited to read their poems at the Savannah City Council Meeting on Thursday, March 15th at 2pm in the Council Chambers, 2nd Floor of City Hall. This meeting is open to the public and everyone is welcome. Savannah Government Television Channel 8 broadcasts Council Meetings live at 2 p.m. on the day of the meeting. Same-day replay of the meeting is at 7 p.m. and 11 p.m.
Stratton & Mary Leopold, longtime advocates of literacy and fostering creative energy in our youth, have hosted the annual competition, in conjunction with the Live Oak Public Libraries, since 2011. 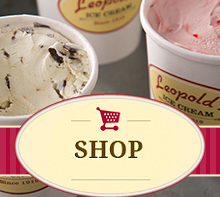 Leopold’s Ice Cream was founded in Savannah, Georgia in 1919 by three brothers from Greece. Peter, Basil and George passed their tradition of making super-premium ice cream in the shop, one batch at a time down to Peter’s youngest son, Stratton. Stratton and his wife Mary own and operate Leopold’s today. Their commitment to arts and education in the community is second only to their commitment to creating the highest quality ice cream possible in a fun, family environment. Live Oak Public Libraries provides excellent, responsive service to enrich people’s lives, support lifelong learning and enhance our communities in Chatham, Effingham, and Liberty Counties.